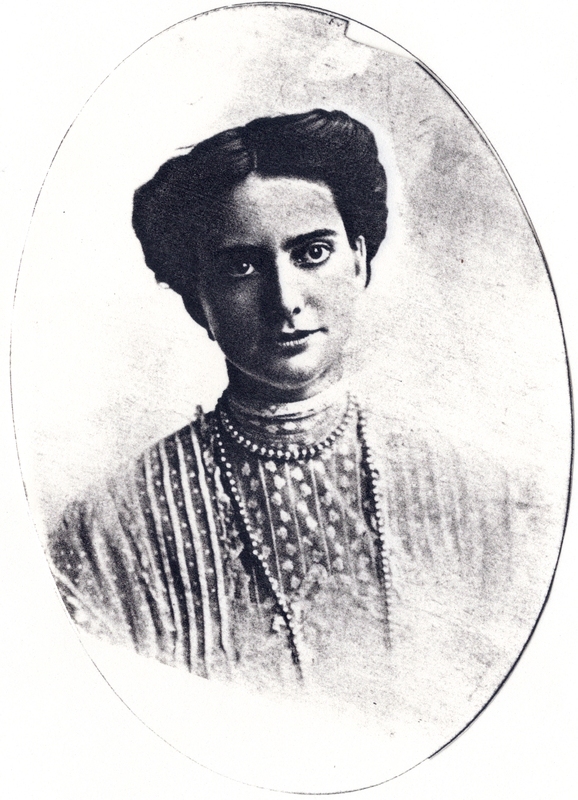 Undated photo, estimated to be 1905-1910. This is a tough one. There are two female ancestors that intrigue me but neither are direct. One is Sabra Cather, my 2nd great-grandmother’s sister, but I’m sure she will come up later in the month so I will leave her alone for now. My favorite female ancestor is Gertrude B. Anderson (1885-1966). 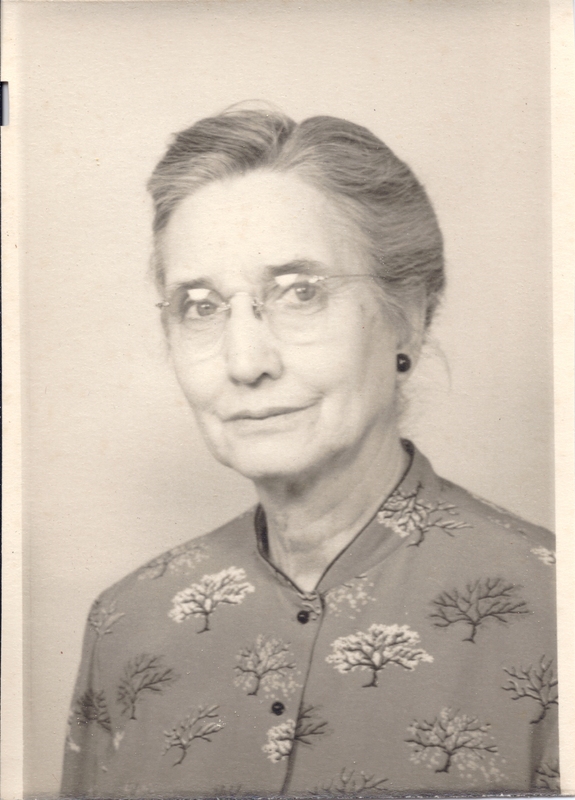 She is the sister of my great-grandfather, Walter C. Anderson. I feel a lot like her in some ways, although I never met her. Gertrude is the first family historian I know of in our family. She was very good about saving papers and newspapers. I can tell what in our artifacts came from her because she wrote her initials in big letters in pencil at the top or on the back of everything: “GBA” in her distinct cursive. I am thankful that she was so good at documenting our family history, the mementos she left behind have enriched my work so much. Gertrude lived in her hometown of Franklin, Ohio her entire life. She never married, although it didn’t hold her back. From passenger lists I can find, she seems to have traveled alone to New York and possibly beyond. Like me, she worked as a teacher in the local public schools but my dad says she may have taught at the nearby Western College for Women (now merged with Miami University) for a short time. I have never been able to verify this though. My dad remembers visiting her house at the Miami Valley Chautauqua, across the street from his grandmother’s house. He also remembers her main residence a block from his home in Franklin. As she aged Gertrude was ill, although I don’t know what ailed her. She has a small collection of postcards from admiring students that she received while she was in the hospital. One in Cincinnati then later in New Mexico. Sources say the hospital was known for tuberculosis treatments, so that may have been what she suffered from. Gertrude is buried in the Woodhill Cemetery in Franklin in the Anderson family plot with her parents and siblings. When I look at the pictures I have of Gertrude, I am always struck by her beauty and poise. She aged so gracefully. Her intense eyes and knowing smile make long to sit down and have a conversation with her. I imagine she would have had a lot of interesting things to say. I would have loved to have the opportunity to hear what she knew about our family history. Although I know a lot about her life, the research goal that I still want to fulfill is to verify if she taught at Western College, since Miami University is my and my father’s alma mater.